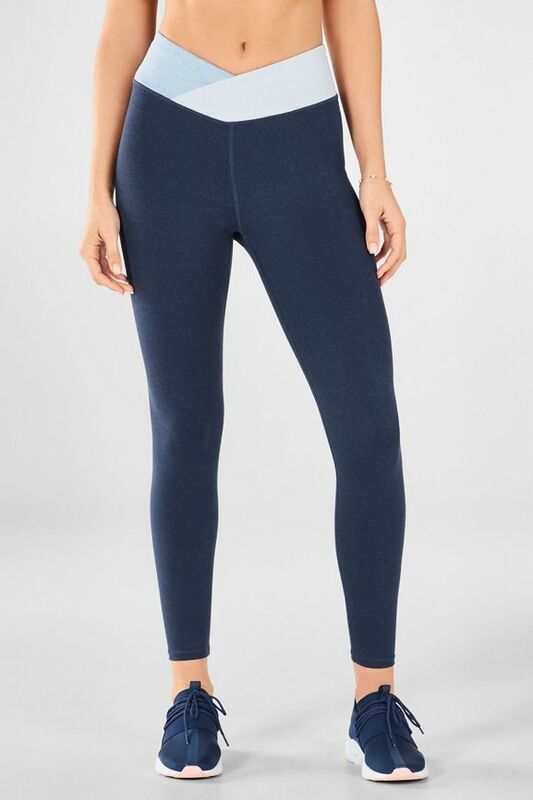 Our customer-favorite crossover waistband legging is back in a new colorblock design and soft HeatherKnit fabric that's compressive, yet oh-so-comfy. 78% of members who purchased the Winn II Solid Heathered 7/8 recommend it. A bit tight on me in some areas and too lose in other. Also the colour is more of a purplish/blue colour. Love the fabric. Bit thicker material and nice high, flattering waist. Great color. Had many compliments on them already!! Very cute style, love the colour! The waistband feels like it stretches out too much though. I really like the feel and the band on these leggings. They are great to do yoga in. My only complaint is that the waist in these leggings is a bit loose. They were comfortable for yoga, but slipped down while running. However, they look really flattering are so super cute!